There’s nothing better than bringing the deliciousness of a foreign country into your own kitchen. 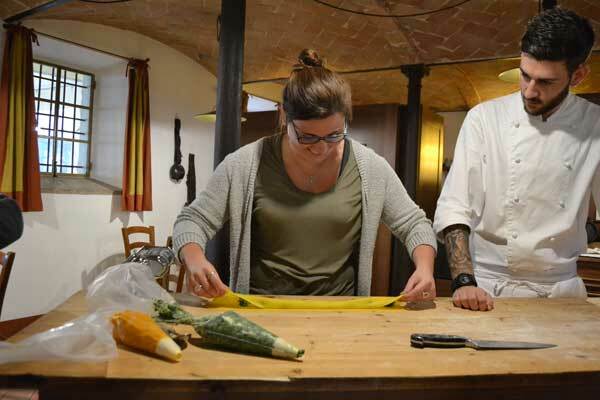 For students who decide to study abroad in Italy, taking a cuisine course is a must. 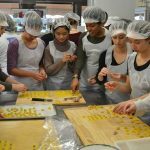 Who wouldn’t want to learn how to make fresh pasta, tiramisu, pumpkin tortelli, and other Italian delectables? If you’re really smart, you’ll choose to live with a host family and beg Nonna (Grandma in Italian) to teach you her pasta-making ways. 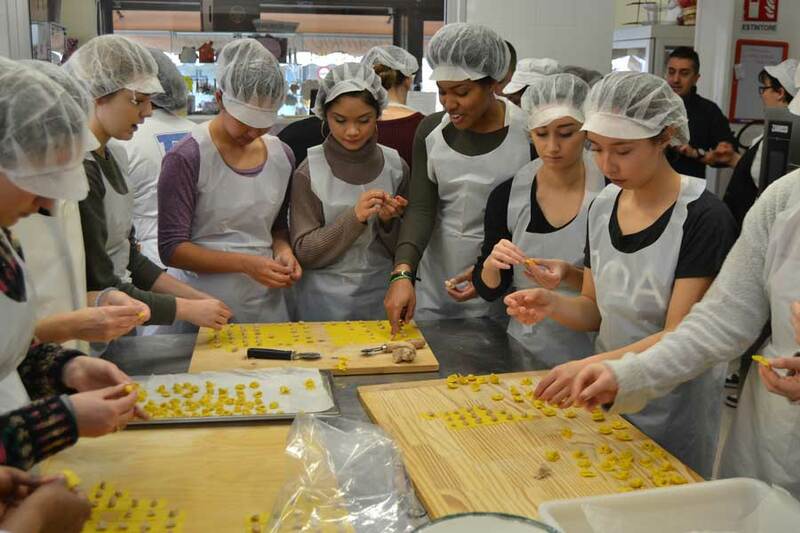 After seeing photos from our Reggio Emilia students touring the Mani in Pasta factory, we reached out to Simona Lai, the Resident Director, and asked her if she’d be willing to share some authentic Italian recipes with us. Reggio Emilia is located in Northern Italy, which means it has its own traditional dishes. 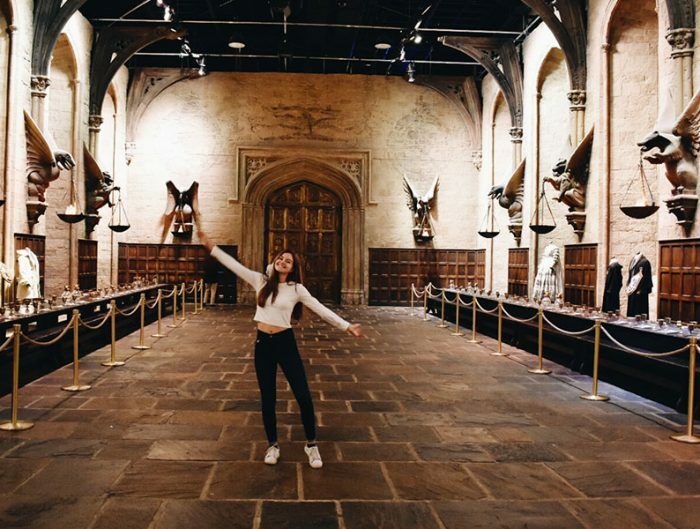 Simona was kind enough to share two authentic recipes with us. 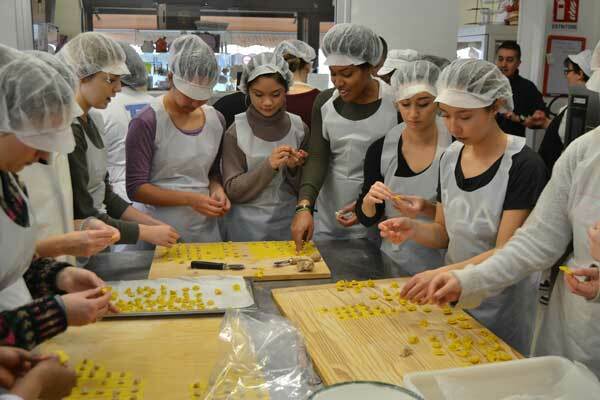 So grab your flour, butter, eggs and prepare to use those hands because we’re making some pasta, Italian style! In a pot, melt the butter with the onion and a little salt and pepper. Cut the meat into pieces. Put it into the pot with the butter, and let it cook slowly, covered. When the pieces are softly cooked, but not dried out, dice everything into tiny pieces. In the same pot, roast the bread crumbs and nutmeg. Turn off the heat and add back in the meat. Add an egg and three gratings of parmesan. The parmesan cheese is the most important component; therefore it must be of the highest quality and very tasty. Remember: the bread crumbs, along with a pinch of nutmeg, must be previously roasted in the remaining juices of the meat before being added to the other ingredients. Preparing the pasta: Mix the flour with the eggs, a pinch of salt and a little water, knead the dough very hard until it becomes smooth, elastic, and even; then wrap it in a towel and let it sit for 30 minutes. Next, knead the dough again, and then roll it out with a rolling pin until it becomes very thin. Cut the pasta into approximately 5×5 cm squares – it is the form of the pasta that identifies which type it is – add the “pesto” or filling, close the square along the diagonal thus forming a triangle, and push the edges together to close the pasta well. Then wrap the pasta around your finger to close it again and give it its notorious shape. For every Cappelletto you must use two hands to close it. In one plate with meat broth, you will need about 40 of those little buggers! For the filling: Reduce the cooked pumpkin to mush (if it is boiled, let it drip in a colander for one to two hours) and add the finely diced apple mustard along with part of its juices, the finely crushed amaretti, the grated lemon rind, a pinch of nutmeg, salt, pepper and a little bit of breadcrumbs to thicken up the mixture. Let it sit covered for a few hours. For the pasta: mix the flour with the eggs, a pinch of salt and a little water. Knead it thoroughly until it becomes smooth, elastic and even; wrap it in a towel and let it sit for about 30 minutes. After that, knead the pasta again and roll it out with a rolling pin into a very thin layer and cut it into rectangles about 10 cm long. Place some of the pumpkin filling on the rectangles and fold them up into the shape of a boat, making sure to pinch the edges shut well. Prepare a sauce with the lard, butter, diced onion, white wine, tomato paste, salt and pepper. It should cook down for at least an hour, adding, if necessary, a little water. Boil the pasta in salted water, and remove them as soon as they are done using a perforated ladle. Serve them in soup or pasta dishes. Here’s how: put a little sauce or broth in the bottom of the dish along with a dusting of parmesan cheese, then place a layer of pasta on top, cover the pasta with the sauce (or broth) and the cheese and repeat this until the dish is full. Cover it with a towel and let it sit for about a half hour before serving. Just in case you weren’t convinced that pasta making is for you, here’s a step-by-step video provided by one of our students. 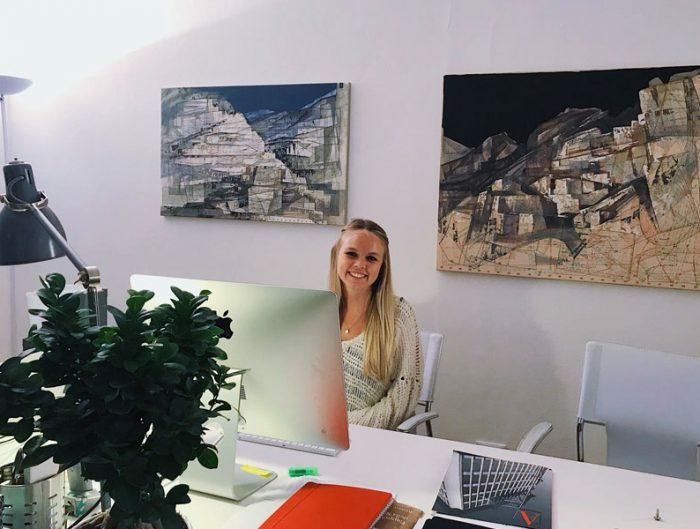 [Warning] May influence your decision to study abroad in Reggio Emilia, Italy! 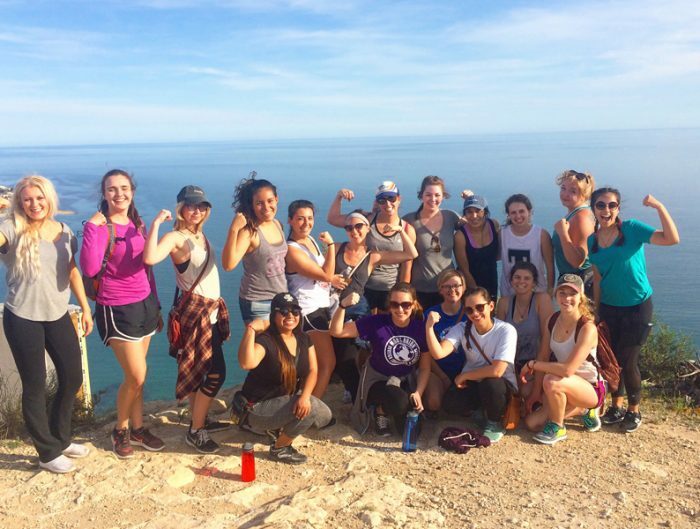 Video provided by Alissa Davis, University of Nevada, Reno who studied abroad in Reggio Emilia, Italy program.